Sir Walter Scott revived the island’s popularity. His Romantic novels and a new railway brought tourists flocking to the area in the 1800s. 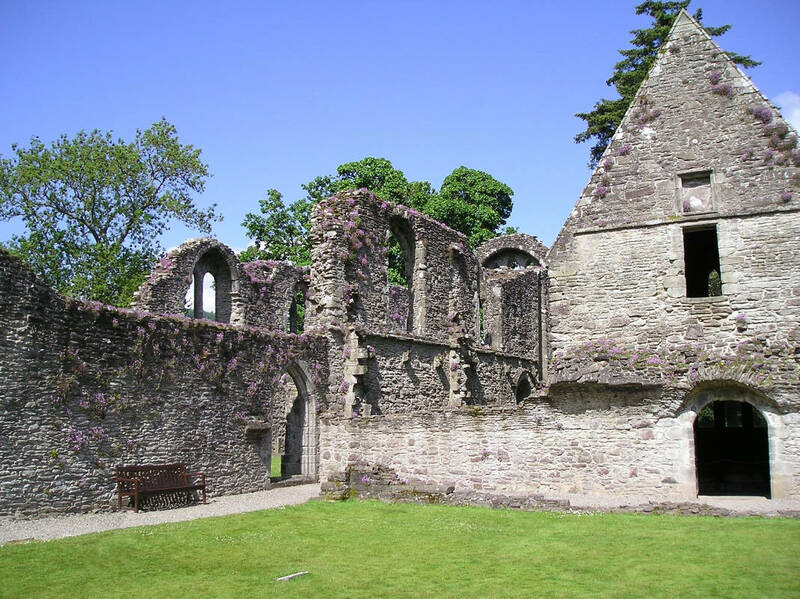 Inchmahome Priory is situated on an island on Scotland’s only lake, The Lake of Menteith. The monastery, founded in the 13th century by Walter Comyn the Earl of Menteith, for a small community of Augustinian canons provides the serenity and tranquility for worship and ritual. The priory and lake have been visited by several famous historic people such as Rob Roy MacGregor, Robert the Bruce, Mary Queen of Scots and more recently , Sir Walter Scott. Used as a refuge or as a place of pilgrimage the noblemen and gentry have frequented the priory for hundreds of years. In more recent times Sir Walter Scott wrote about The Trossachs in many of his novels and subsequently this promotion encouraged visitors to take the trip to Inchmahome Priory from near and from afar. The island and priory are home to ancient trees and have a wide variety of fauna on display. The island is a perfect place for a picnic with stunning views of the surrounding lake and mountains. There are some gentle paths to explore so you can discover your own beautiful setting.